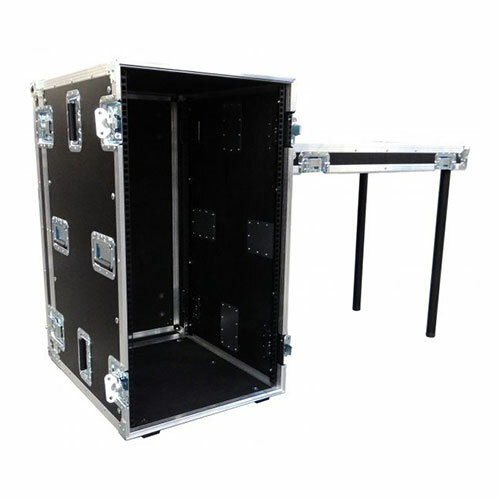 Manufactured in the UK to high quality standards by Trifibre, this 19” rack flight case is constructed using 9mm phenol coated birch plywood with removable front and rear doors. 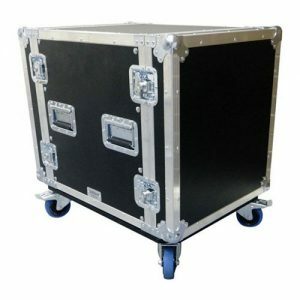 This case features a table system to turn the front door of your case into a table fixed to the side of your case, making it ideal for use as a DJ desk or work desk. Alternatively tick the appropriate option to have both doors with table legs. Steel rack strip is fixed at front and rear with 500mm space between. 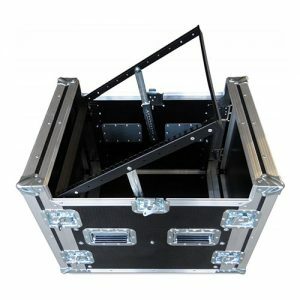 Trifibre rack cases are built to withstand the rigours of transport and are built to be hard wearing and tough.